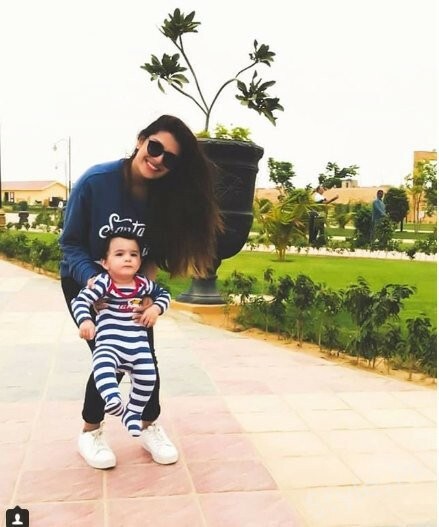 Latest Clicks of Ayeza Khan with Family, The best thing celebrities can do for their fans is to take them along everything that they do on a daily basis. 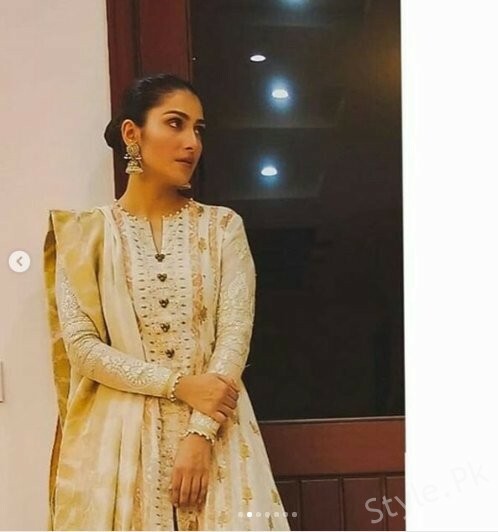 That is the best way of maintaining a connection with their supporters and followers and Ayeza Khan is one such star who makes sure to keep her followers happy by being active on social media and sharing her best bits and happy moments with them. 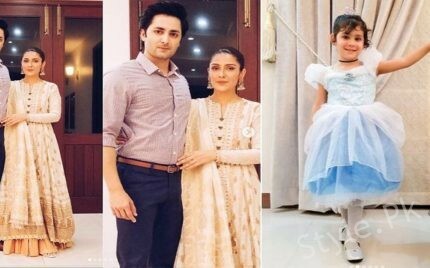 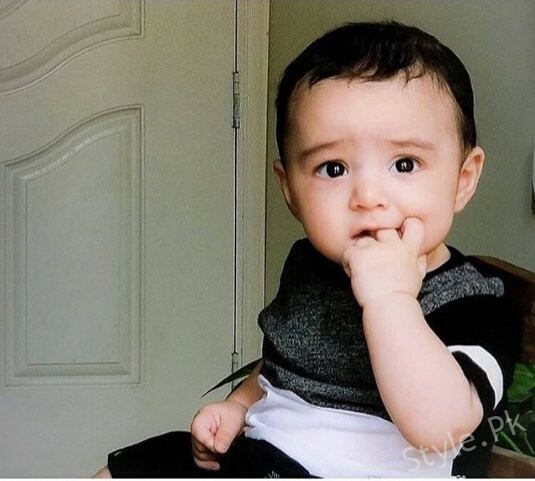 Ayeza Khan and Danish Taimoor always come up with thoughtful and beautiful pictures that they share and what acts as a cherry on top are the pictures of their children Hoorain Taimoor and Rayan Taimoor. 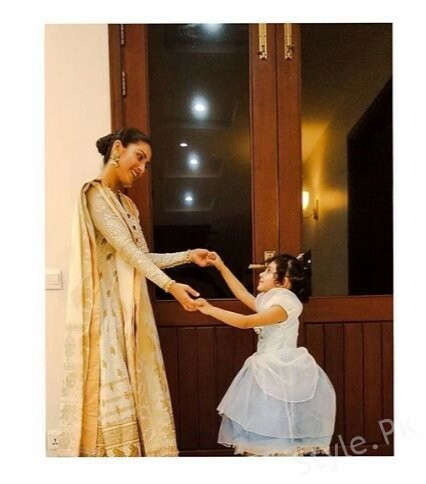 Latest Clicks of Ayeza Khan with Family, Just today, Ayeza Khan shared these beautiful family pictures in which she is wearing this gorgeous eastern off-white attire that has gold embellishment. 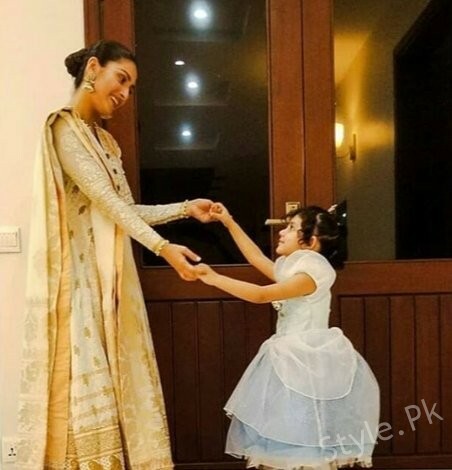 Sleek hair tied in a bun and bronzy makeup look make her look very regal. 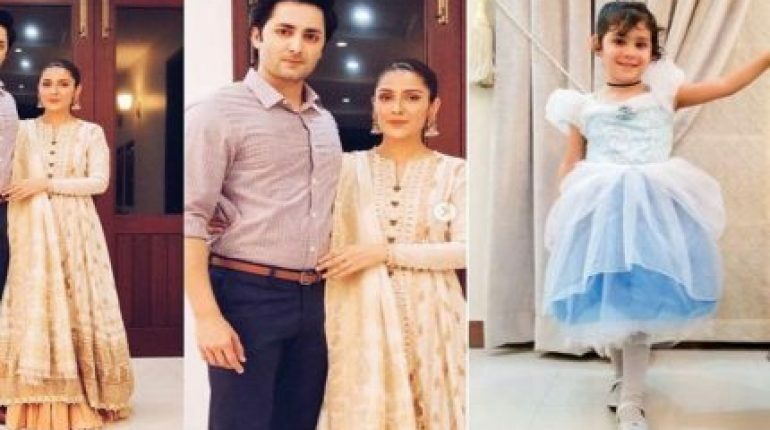 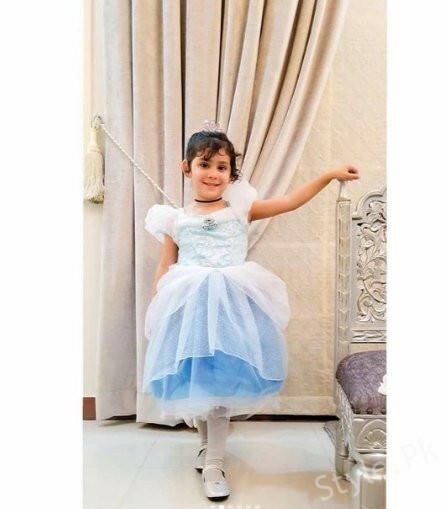 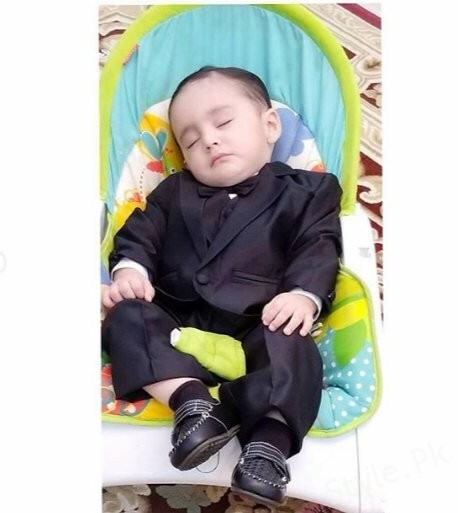 Hoorain Taimoor is dressed as a Cinderella, Rayyan Taimoor is wearing black suit looking super cute and Danish Taimoor is sporting a formal look in checkered dress shirt and navy blue trousers. 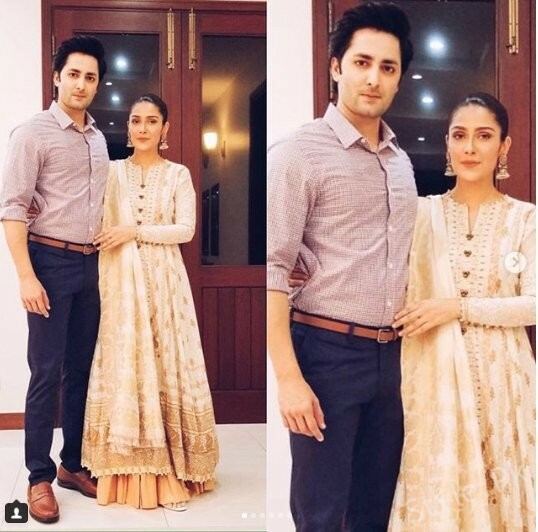 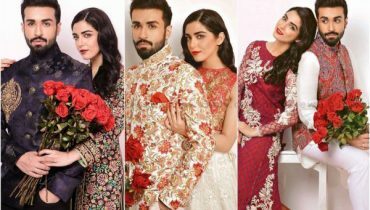 Ayeza Khan and her entire family are definitely having a celebration and so are their fans seeing these beautiful pictures.